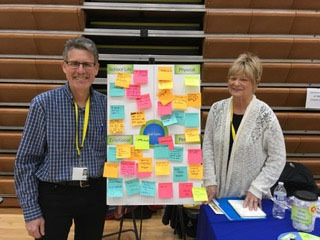 Recently, NAMI Barrington Area participated in the Health Fair at Conant High School in Hoffman Estates. It was fun interacting with these amazing young people. They loved grabbing a bit of inspiration from our inspirational quotes jar. They also helped us create a Self Care Board through providing ideas as to how they take care of themselves physically, emotionally, personally and with regard to school life. Check out their list of insightful ideas here.